Sign in to reserve your place in this event! Time to head to the Peaks! Big thanks to @Landslide for helping me plan this with a strong dose of local knowledge. Where: Peak District, two loops circling from Ladybower. Ride out/back from Sheffield. What: 50-60km each day of singletrack, doubletrack, tiny roads. MTBs only, I think. Overnight: Wild camping near Ladybower. I will post exact meeting and trains info in due course. Do not book trains yet, we only book for sure a week or so in advance to check the weather forecast is good. A weekend of rain ain't fun. If you don’t have a tent you can probably share a tent/tarp with someone else, post in the thread. You will need your own sleeping bag and mat at a minimum. You must be self-sufficient, so bring plenty of food, tools, tubes, and good attitude! We don’t ride fast at all, but you must be fit enough to make it round on a loaded bike. If you’ve never ever gone camping these trips might not be for you. See previous trips here and here. Pic above - it might look like this (random one from Google). Routes - these are unlikely to change much, or at all. 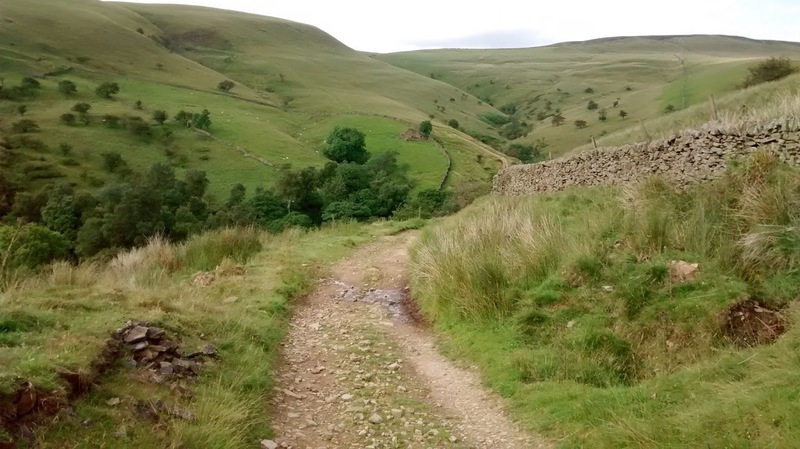 Hi all, like Platypus says, this route has been drawn up for MTBs, including a few Peak District classics. However, I'll probably be riding my Escapade, with 700x42c tyres. There are easier options for all the rocky descents (not as exciting, but shouldn't detract from the overall ride too much). Ooh, if I can't do the riding I might ride over for a bit of camping after work (and I assume a couple of beers). I'll keep an eye on the thread whatever. Gutted! I'm away that weekend but if anyone fancies a recce before the main event in late Feb early march then I'm up for it. Hi folks - I am now busy this weekend so it is likely moving to the following one - 20th and 21st April. Keep an eye on this thread for updates. The perils of planning something so far in advance! MOVED TO 27-28 APRIL - SEE YOU THEN! Update. I went exploring a few back up options for this the other day, and (barring prolonged crap weather turning everywhere into a gloop-fest), I'm now happy there are enough alternative routes to ensure anyone on a more gravel/monstercross type bike can get round. 40c or bigger, with a decent amount of tread will see you right. Bump. Life has got in the way, so we're going to need to change the date. Platypus and I will get back to you once we know more about our availability. Hopefully this'll mean that some of the interested parties who couldn't make the 27/28th will be able to join us now! Yes! Would be up for a weekend later than 27th/28th as I'll still be coming back from my Hols. Would love to cut my teeth bikepacking and in one fell swoop also get my first ride with LFGSS/+ internet strangers! Opinions on 11th-12th May weekend? How is 1st-2nd June too? I may be launching my book (!) on the 11th May after all.